These items were all found at my parents house. 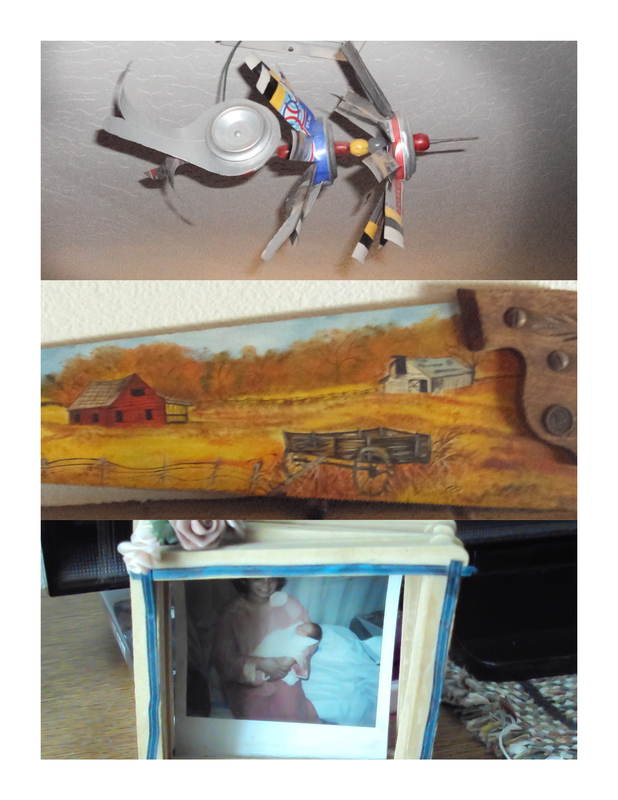 The airplane was made from soda cans, the saw with the painting on it has always been at my parents house since I could remember, and the picture frame, with my mom and brother in it, was made out of Popsicle sticks. These are all forms of recycling in form of decoration.